Methadone is a synthetic opioid with properties similar to morphine and the ability to produce euphoria, sedation, and calmness for which it is most likely to be abused. If taken in too high a dose, too often, in ways other than intended, or with other drugs or alcohol, methadone can cause serious side effects. In addition to the many ways that methadone can be abused, there are many more reasons as to why it is abused and in order to prevent the abuse, you must be able to address those risk factors that predict it. Taking your methadone prescription exactly as the doctor ordered and keeping it in a safe place will prevent abuse. People are driven to abuse methadone for recreational purposes because of a desire to experiment, feel “good”, get “high”, or to relieve the stress of environmental pressures from peers, family, social, financial, or other issues. They may abuse it because they perceive a higher degree of safety in using prescription medications over other illicit drugs or they may have easy access to methadone through their friends, family, or sales on the street. Self medication is another major reason why people to abuse methadone. They may increase their doses or use it more often seeking greater pain relief from physical symptoms or for the relief of unwanted mental health issues such as anxiety or depression. It isn’t uncommon for an opiate dependent person to abuse methadone to prevent or relieve the symptoms of opiate withdrawal although they are not enrolled in an opioid treatment program (OTP) and much of methadone’s abuse occurs as a result of individuals enrolled in the programs diverting their methadone dosages to others for this purpose. Opiate abusers often alternate between the methadone and their short acting opioid drug of choice when one or the other is unavailable. 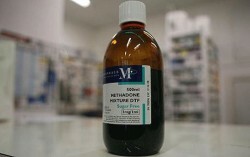 Methadone is a powerful central nervous system depressant that can dangerously interact with other substances. On its own, it has been known to cause severe respiratory depression, cardiac arrhythmias, and impact other organs if abused. Unfortunately, methadone abusers are often poly substance abusers who mix other substances with the methadone to increase or intensify the effects. Beyond overdoses, methadone abuse with other substances can seriously compromise the person’s mental health as well as cause physical harms. It should not be used with alcohol, benzodiazepines, sedatives, or any other substances except under the direct approval and supervision of a qualified methadone provider. One may think that it methadone works like other short acting opioids, but, what most people are unaware of is that methadone has a long and unpredictable half-life averaging 24 to 36 hours in an opiate tolerant person and up to 55 hours in those who are opiate naïve. That’s 4 to 6 times longer than the half-life of other opioids and a major contributor to the rising number of methadone overdose deaths. The person can be at risk for methadone abuse complications including overdose long after the affects have worn off because methadone remains actively stored in the liver, bloodstream, and other bodily tissues where its mechanism of release is very slow and gradual. People have different rates of methadone metabolism and what may be a safe dosage for one person can be deadly to another. Methadone abusers often have compromised health issues which can slow down their normal metabolism rates or the rates at which they are able to eliminate the methadone wastes in their urine leading to toxic buildup and possible overdose. Always follow your dosing instructions and know the medication warnings and interactions with other medications you are taking. Always be open and honest with your doctor regarding your medical history, other substance use, symptoms, and concerns. Your doctor needs to be aware of how well you are tolerating, metabolizing, using, and eliminating the methadone to keep you safe. Don’t increase, decrease, or stop methadone use without the approval of your doctor. There is a small difference between a safe and fatal overdose and decreasing the dosage too quickly or stopping can lead to withdrawals. Keep your methadone in a safe place and never share it with others. Initial uses of methadone and abuse by people for whom it was never intended causes the majority of methadone overdoses. Don’t chew, crush, snort, or inject methadone because it is an oral medication. Be aware of the effects methadone has on you. It may take several days to reach a steady dosing state where you become tolerant to the euphoria and sedation, but, other effects could be a sign of danger. Avoid methadone abuse “triggers” by taking care of yourself, eliminating stressful situations to the best of your ability, and avoiding those people, places, and things, where you could be tempted to abuse.